The Olympic Federation of Ireland (OFI) has tried to put former scandals behind it by revealing its new authorised ticket reseller for the Tokyo 2020 Games. The message from OFI president Sarah Keane as she announced a deal with a Finnish company was clear: "We should not be near public tickets." 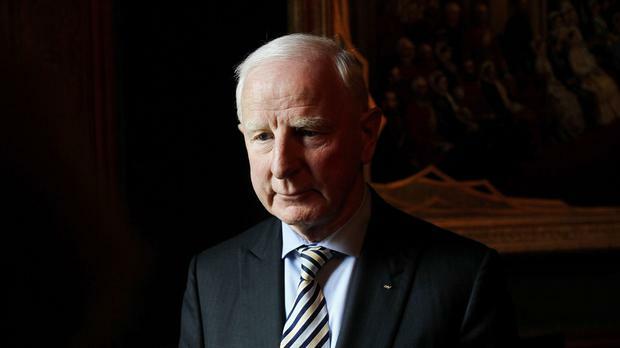 At the 2016 Games in Rio the Olympic Council of Ireland, as it was known then, was mired in scandal when its president Pat Hickey and Kevin Mallon of THG (the authorised reseller at the 2012 Games) were arrested during an investigation into alleged ticket touting. That scandal cost the OCI more than €1.5m, with Ms Keane - who was appointed president in early 2017 - promising to overhaul its structures. After a rigorous selection policy that took more than a year, the OFI announced yesterday that Finnish company Elamys will be its reseller for Tokyo 2020, with prices revealed next month and tickets on sale from late June or July. Unlike Rio, public tickets will be handled exclusively by Elamys, with a 20pc mark-up on cost price and profits split 50-50 between Elamys and the OFI. "We are ultimately a not-for-profit organisation but what we do bring in goes back into sport," said Peter Sherrard, OFI chief executive. Sixty percent of tickets will be sold in isolation, with the rest in packages. Irish competitors are guaranteed the right to buy two tickets for family members for each session in which they compete, the exception being swimming where it is one ticket. "Getting this appointment right, and beyond reproach, was crucial," said Ms Keane, who revealed Mr Hickey has had no involvement with the OFI. "He is currently self-­suspended from the [Olympic] movement. The protocol is that he is not involved and he is not invited to anything and he hasn't looked to interfere or do anything around the work we are doing." An agreement was also signed with officials from Fukuroi, Japan, which will be the training base for Team Ireland ahead of the Games. Two deputy chef de missions were announced, Gavin Noble and Liam Harbison. Nancy Chillingworth will be performance manager. Jack Austin A Canadian athlete, his wife and a coach have been charged by South Korean police for stealing a car in Pyeongchang.